As travel bloggers, we have the opportunity to travel to various countries around the world to attend conferences and press trips. 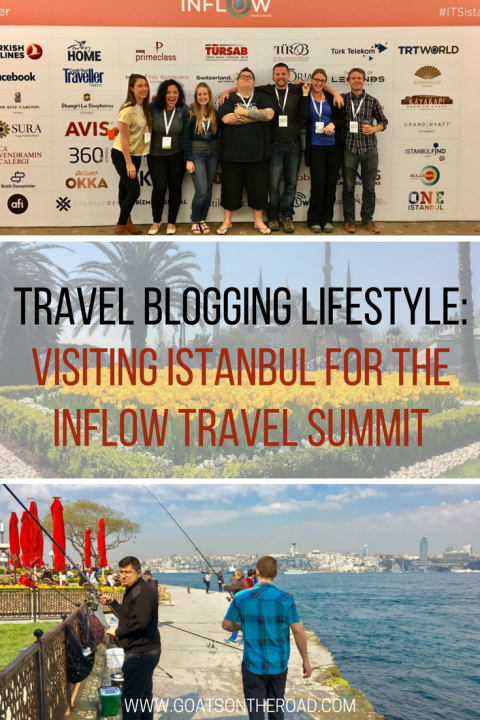 Last year, we spoke at the World Tourism Forum about the benefits of brands working with bloggers, and recently, we were invited to attend the Inflow Travel Summit. Again, in Istanbul. What does it mean to be “invited”? 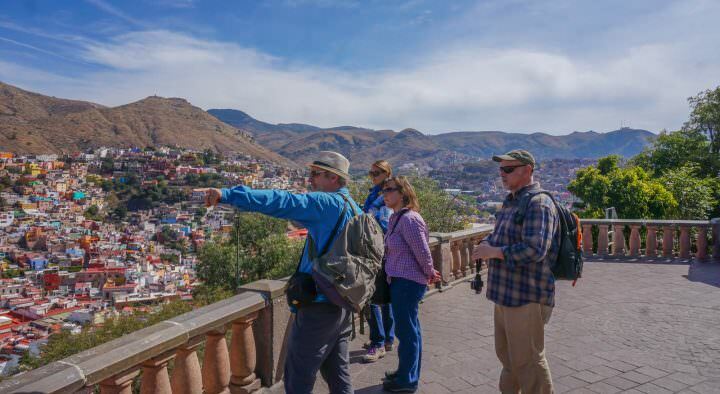 Many travel bloggers have grown large, travel-focused audiences online and those audiences are valuable to brands, hotels, and tourism boards. Therefore, bloggers are often invited to conferences to meet with these types of companies which may be a good fit for their audiences. An invite to this sort of event typically includes complimentary flights, transfers, food, accommodation in luxury hotels and sometimes pay. 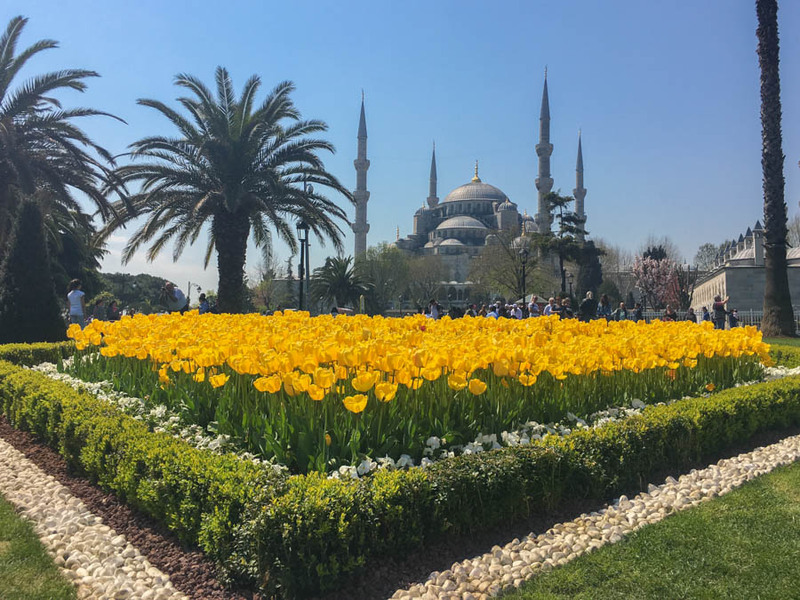 We love the city of Istanbul and jumped at the opportunity to attend – we didn’t have to speak this time around, which made the event more relaxed and less stressful for us! 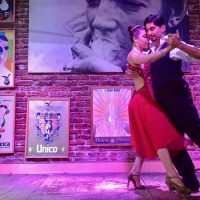 I don’t know which aspect of the trip we were more excited about, the fact that we were flying from Buenos Aires to Istanbul on our very first Business Class Flight with Turkish Airlines, or that we would be meeting up with friends (both old and new) in a buzzing city that we love. Plush chairs surrounded little tables, while big screen TV’s played the news and latest football match. Food was spread out along a buffet table, alcoholic drinks of our choosing were available (we poured our own), plus, there were showers in the bathrooms. We were already blown away and we hadn’t even boarded the flight yet. The Business Class flight was as predicted. It was luxurious and comfortable. Rather than continuing through to the back of the plane (as we had always done), we stopped at the front. The seating arrangements were 2 – 3 – 2, and we had a two-seater (“bed’er?”) for the 15 hour journey. Everything was new to us and we were over the moon with excitement. Plants in the bathroom? Amazing! A menu for meals? Unheard of! Endless amounts of booze? Fantastic! Seats that reclined all the way into flat beds? Luxurious! Each aspect of this flight was a new experience for us. 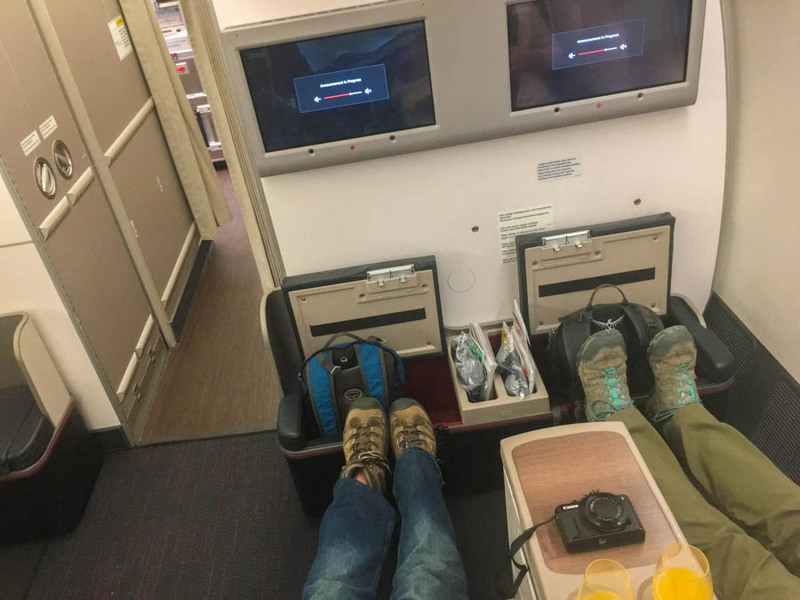 Looking around at our fellow Business Class passengers, we were surprised to see that they weren’t grinning from ear to ear and taking photos of everything. It was the same ‘ol for them and it was incredibly obvious that we were the only ‘newbies’ in the bunch. Even the attendants were affectionately laughing at us, but we didn’t care, we were revelling in the moment and taking it all in! At one point I asked for some sparkling white wine, but was told they only had Champagne. Oh ya, this was going to be a good flight. While sitting up in the seats, we could completely stretch our legs out and not touch anything in front. If we felt like leaning back just a bit to watch the TV, we simply pressed the electronic controls, which reclined the seat, while bringing up a leg rest. There was a lumbar control as well, which was great for my back issues. To be honest, we had to ask the attendant how to use the controls, but once it was sorted out, we were good to go. As expected, we were too excited to get much sleep and spent most of the time drinking, watching TV and walking around the plane in the slippers we were given (in fact, we had a whole toiletry bag). Come dinner time, menus were handed out and a man in a chef uniform came around to take our order. I went with a Turkish meze, creamy potato soup and penne with basil and tomato sauce. The menu was large, and of course it included drinks, bread and dessert. We dined by candlelight high above the clouds and with a server, table settings and fantastic food it kind of felt like we were in a proper restaurant. 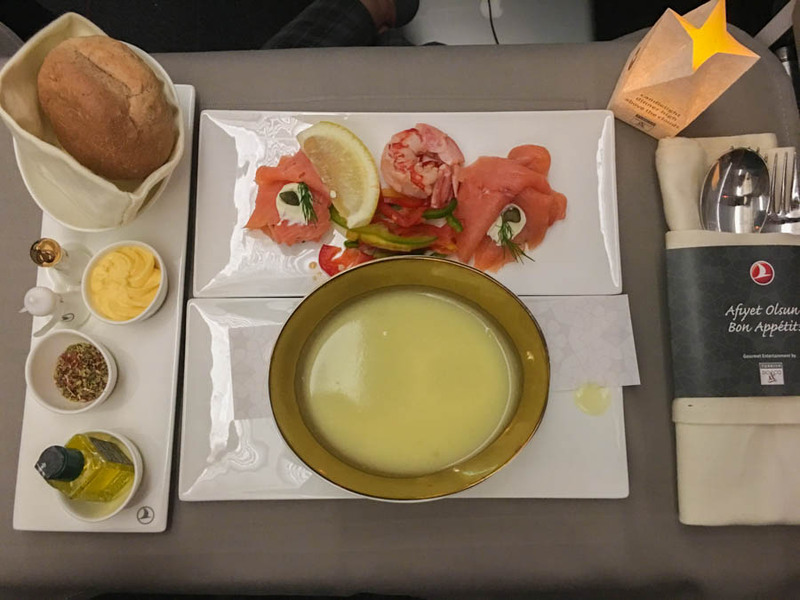 who knew airline food could be so good?! After 15 hours, we deplaned and were greeted with a man holding a “GoatsOnTheRoad” sign. We hopped in his motorized airport cart and were whisked away to the immigration booth. We were given a pass that let us stamp into the country in the fast lane and within minutes, we were through customs and immigration. Our “driver” (who we weren’t expecting whatsoever) even waited at the carousel for our luggage to come through! It turned out that this is a special airport service that is offered, and one that Inflow generously provided us. We love being travel bloggers! Our taxi drove through the familiar streets, past our favourite mosques and alongside the Bosphorus Strait. We were thrilled to be back in Istanbul. This time around we were being put up at the deluxe Swissotel Bosphorus. Entering through the rotating doors, we were greeted with expansive views of the strait, marble flooring and incredible chandeliers. 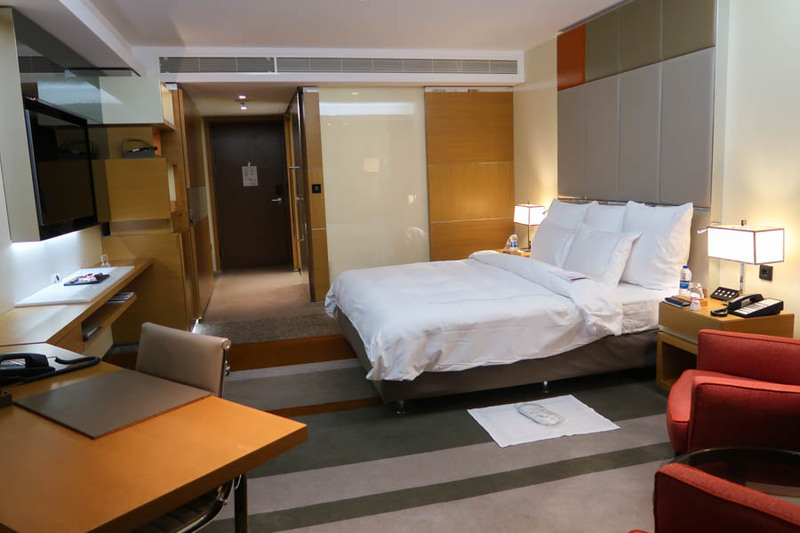 This wasn’t an ordinary hotel, and luckily for us, we had 6 nights here! Our room was deluxe. 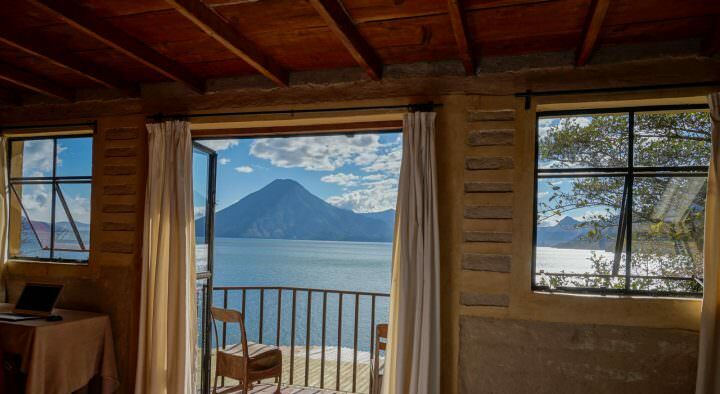 The first thing we noticed was the welcoming king-sized bed, followed by the gorgeous views. The bathroom was fitted with a rain shower and high-end soaps, shampoos and lotions. On top of all of this, we were given a little plate of Turkish Delights and other sweets, and there was a Nespresso coffee machine. As our adrenaline started to fade, so did we. We fell asleep and awoke to our first day in the big city. 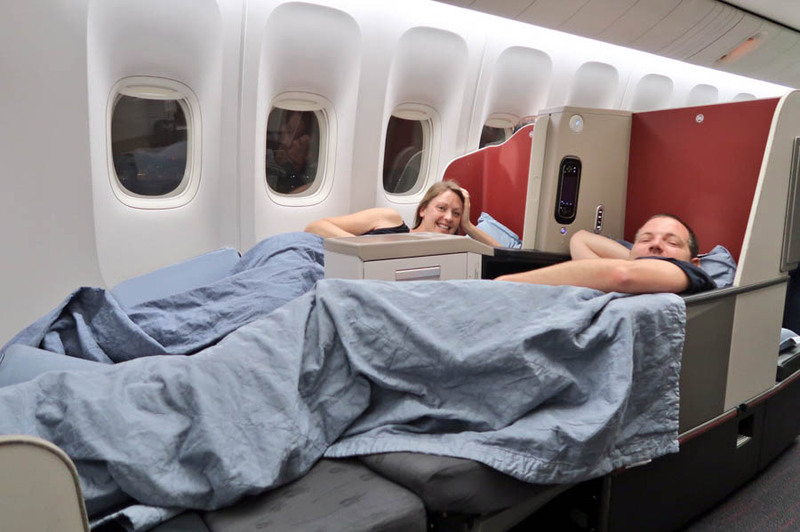 Here’s a video of our Business Class flight – warning, we’re overly excited!! The Swissotel Bosphorus is so enormous that there are conference rooms, some shops, a spa, a pool and restaurants as well. 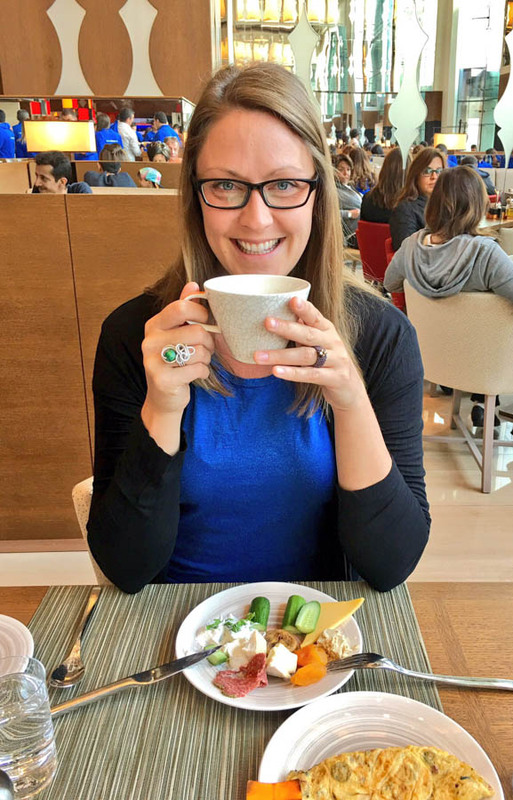 If you can believe it, breakfast was one of the highlights of our stay in Istanbul. With amazing views of the Bospherous and all of the boats going by, we dined on some of the best breakfast foods we’ve ever had. We chose from the Turkish breakfast consisting of yogurt, dried fruits, nuts, vegetables, eggs and bread, or, if we were feeling like something a little more North American, there were made-to-order omelettes, bacon, potatoes, beans, sausages and numerous sweets, fruits and baked goods. On top of all of these choices, we were given proper cappuccinos, and freshly squeezed juice. Oh, and there were free flowing mimosas as well. We looked forward to breakfast each morning. Nick and I always like to arrive a couple of days before an event or a trip starts, I don’t know why, but we really like to have some downtime and get acclimatized. We had a couple of days to wander around the familiar streets of Istanbul by ourselves, while gawking at the impressive mosques. No matter how many times we see the Blue Mosque and Hagia Sophia, we’re still amazed by their grandeur. Fun fact: Istanbul spans two continents! We hopped on a ferry-boat and crossed the Bosphorus from the European side over to the Asian side. We passed by men fishing off the promenade, a couple of guys scuba diving, some swimmers and numerous families and couples wandering along the shores. One of our favourite districts of Istanbul is Beyoğlu, and we spent many afternoons there exploring the lanes and eating fantastic Turkish food. 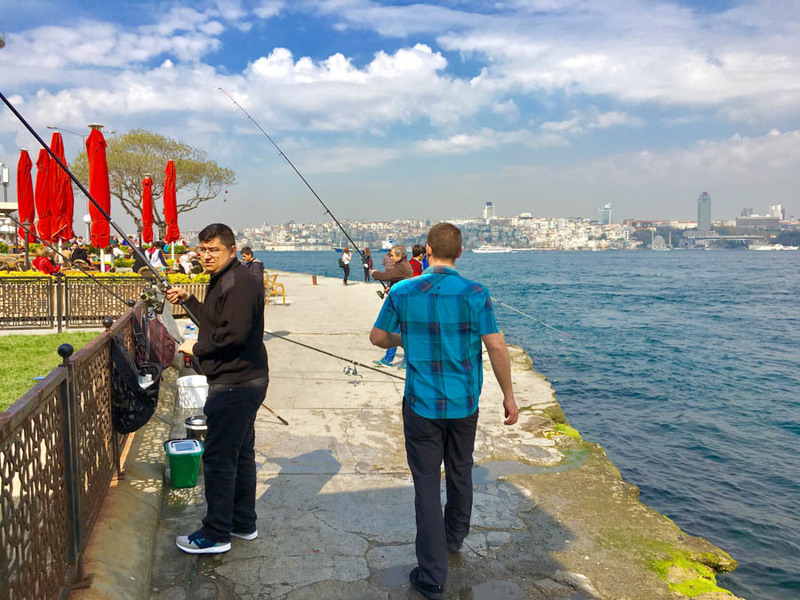 Our first couple of days in Istanbul were casual, lazy and wonderful. When the conference started, the good times really began! The great thing about the Inflow Travel Summit was that the summit, meetings and welcome party were all held at our hotel, meaning we didn’t have to go anywhere. The first night was the welcome dinner and cocktails. This was where everyone got to meet one another, and where old friends were reunited. It’s also where us and some fellow bloggers (Jess, Sarah and Justin) had the brilliant idea to steal Tourism Switzerland’s mascot, a hiker named Bruno. Bruno went out on the town, while visiting a bar, and enjoying the company of a couple of ladies! 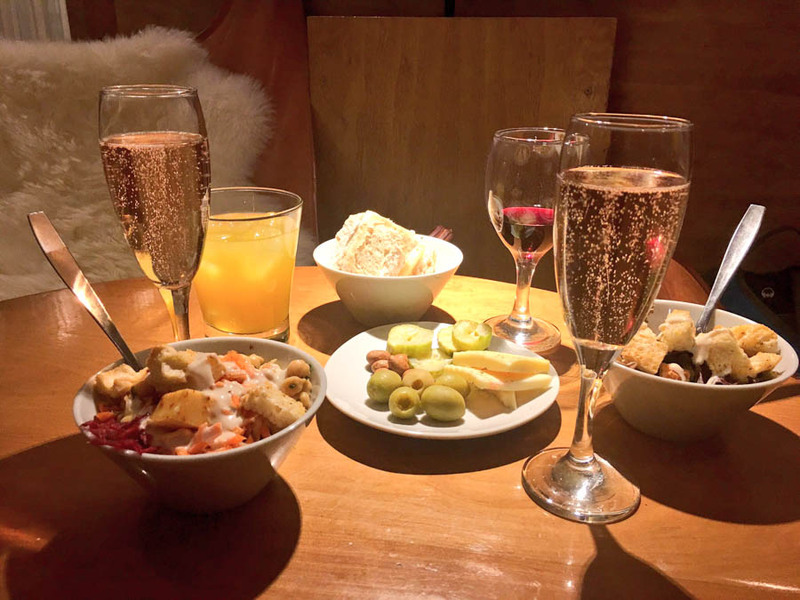 This boozy idea turned out to be pretty funny and we even had a hashtag, #findbruno! By the end of the conference, Bruno was returned to his rightful owner and all of us bloggers hoped we made a unique impression on the tourism board and are looking forward to partner together to show the beauty of Switzerland later this year. Check out our video of the Inflow Travel Conference, including Bruno’s kidnapping! Apart from the welcome dinner, we attended the full day summit, which included brilliant talks by travel bloggers Two Monkeys Travel, Our Awesome Planet, Finding The Universe, The Planet D (and more), plus YouTubers Alex Tienda and Alex Chacon. 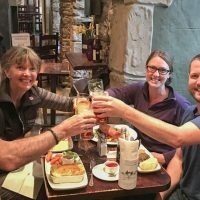 Whether Dave and Deb of The Planet D knew it or not, they had a huge impact on us when we were first starting out and it was so great to finally meet these travel blogging Canadians. Needless to say, we got along just fine! Once the full day summit was over, we attended a party at the 360 Bar. We had a lot of fun this night and everyone let loose. 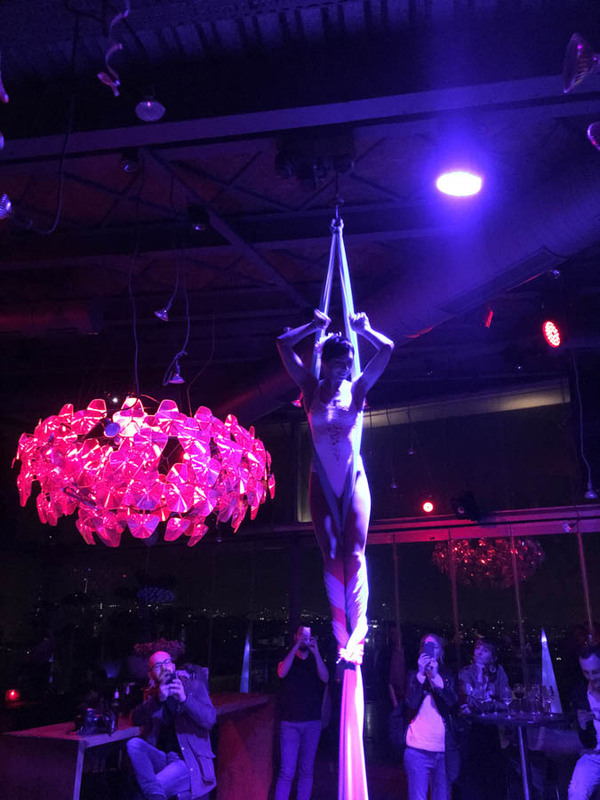 The live entertainment included a contortionist, a singer and an acrobat. The wine and beer were free-flowing and the finger food was delicious. We all danced, sang and had a good time. The views across the city from the rooftop bar were icing on the cake. If it sounds like we did equal amounts of partying as we did learning and being serious, that’s because that’s exactly what happened. 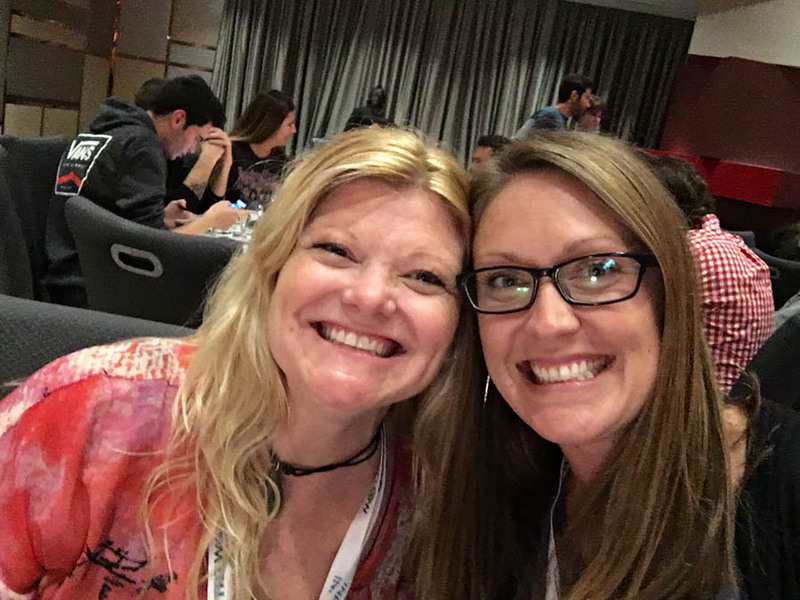 As with most conferences, there is a time to be professional and (somewhat) serious, but outside of those times, we all like to have fun – especially bloggers and online influencers! The entertainment at the 360 Bar was awesome! After the bar night, we attended B2I meetings which means “Brands 2 Influencers”. Basically it’s where we get to sit down one on one with various brands and discuss how we can work together in a mutually beneficial way. Although we wished there were more international brands here, it was still a worthwhile exercise. 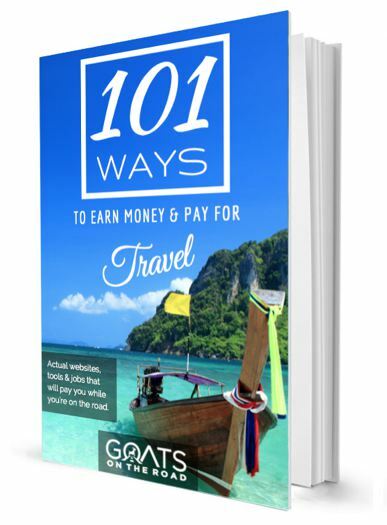 If you’re interested in learning how to start a travel blog, or more about how travel bloggers earn money, and receive “free” travel, check out our Travel Blogging section. Or, if you want to start a travel blog, check out this article for a step-by-step guide. 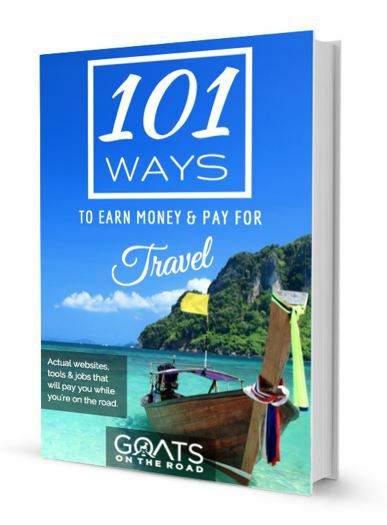 Plus, you’ll get our travel blogging eBook for free! A huge thank-you to Turkish Airlines for the flight upgrades and to the Swissotel Bosphorus for putting us up for 6 nights. And of course, thank you to Inflow Travel for inviting us to attend the successful summit. 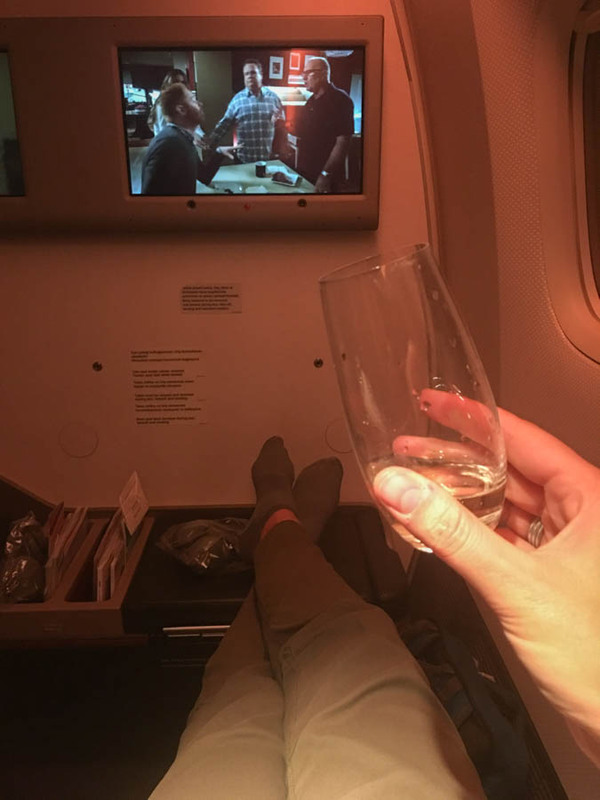 I remember my first (and alas also only) time in business class – what an experience!